Today’s globalised world requires new approaches from managers to keep up with an ever-changing business environment and to embrace new opportunities. Change is the only constant, and the Port of Ystad constantly endeavours to stay ahead of developments in the maritime transport business to ensure the current growth in the port continues in the long term. 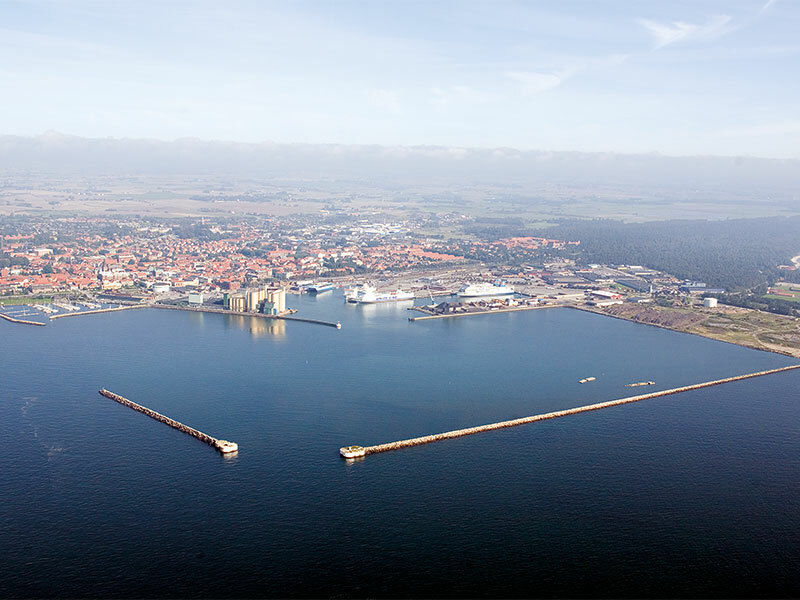 The Port of Ystad in southern Sweden serves as a perfect example of how the success and future development of ports relies on a combination of proactive management, cooperation across business sectors, and governmental support on a regional, national and European level. Ystad is an important hub, connecting Scandinavia with eastern Europe. Since the beginning of the 70s, Ystad has been the leading port for ferry traffic to Poland. Although Swedish-Polish tourism is increasing, the largest amount of traffic continues to be goods from eastern and central Europe to Scandinavia. Over time, volumes have increased, even during the financial crisis, and in recent years traffic volumes between Ystad and Poland have increased significantly. In 2016, new records were set in the volume of cargo, trucks, cars and passengers transported. The volume of trucks increased by 13 percent and volumes of goods by 16 percent. The port also connects the Danish island of Bornholm in the Baltic with the rest of Scandinavia, through high-speed ferries and a highway by the fixed link to Copenhagen. The island is highly dependent on fast and stable ferry traffic, and the Port of Ystad delivers this essential service. Eastern European economies are growing rapidly, and the Nordic countries are important investors and trade partners for them. This creates a growing need for fast and flexible transport between the two. The intense traffic on the corridor between Ystad and Poland is not just a regional matter – it is a European matter, and the Port of Ystad is working proactively for the route to gain recognition and become a higher priority for the EU. “We are positive that Europe will benefit from prioritising the Port of Ystad and the Ystad-Poland corridor. With European investments in this corridor, the whole Baltic Sea would be better connected and efficient infrastructure would bring growth to the region”, said Boström. The Port of Ystad will continue to do what it takes to stay ahead of regional and industrial developments. A combination of proactive management, cooperation across business sectors, and ongoing communication with influential decision-makers is time-consuming, and not part of the core business of a port, but it is nevertheless key to success in an increasingly interconnected business world.